As the results rolled in on Election Night 2012, my heart sank. Strange thing is that I figure I would’ve been somewhat as disillusioned had Romney won. Why? Because I didn’t vote for either of them. I wrote in a candidate who will remain anonymous. Yes, I am a Republican at this time, although I keep saying I intend to become Unaffiliated (even have the paperwork already filled out). So some of you Republicans are saying a write-in vote was a vote for Obama. Well, it didn’t matter in my state of North Carolina, did it? Romney won here, despite my non-support of him. I remember how I fussed at my ex-husband back in ’96 when he voted for Ross Perot. I told him his vote helped elect Bill Clinton. I need to repent to the ex for that. He voted his conscience and that is never wrong. “But we must choose the lesser of two evils!” you may declare. Really? Says whom? Did God tell you that? I did that in the last election and was fully prepared to do it again this year until very recently. Even when some of my family members asked me how I could possibly vote for either Obama OR Romney, I avowed that I needed to vote for Romney to keep Obama out of office. But then came a peaceful Sunday night–the first night of the Feast of Tabernacles (Sukkot) on Sept. 30. I sat in Fowler Park in Walnut Cove with some dear Christian friends as we shared sweet treats in keeping with the Feast’s tradition. As we discussed the troubles in the Arab-Israeli conflict, one of those friends–a soft-spoken, kind-hearted woman–spoke up about the coming Presidential election. When my friend said that, my spiritual eyes were opened, and I knew immediately what I had to do. I still prayed about the decision to be made but heard nothing spiritually that changed my mind. I knew I could not vote for what I considered an “evil” but must vote my conscience despite being in a tiny minority that wouldn’t make a difference in the physical outcome of the election. But we just may have made a difference in the spiritual outcome of the election–for us and our house anyway. Unbeknownst to me, my hubster wrote in the same candidate that I did. I had no idea whom he was going to vote for when he headed for the polls on Tuesday. So now I can truly say that as for me and my house, we stood united. Now, for those of you who are angry already that I would call Obama and Romney “evils,” please let me explain before you log out. I do not mean that personally; it’s a cliched expression. I love both of these men as people; I simply disagree with many of their political platforms and values. As I type this right now, I am watching Obama give his acceptance speech. I find this man handsome, charming and charismatic. I believe I would be his good friend if we were personally acquainted. I am intrigued by his life story and his dogged climb up the political ladder. I hear his talk of change and liberty for all–including the broken, the disenfranchised, the poor, the minorities–and I get excited because I agree with him on all of those things. I also admire his long-lived marriage and seemingly happy family life. So why didn’t I vote for one of these men that I don’t dislike at all? Because I see things more in the spiritual than in the physical. That is not an arrogant statement. Shouldn’t anyone who claims to be Spirit-filled see more with the eyes of the Spirit than with the eyes of the flesh? I had to look beyond physical appeal. I had to dig deeper than physical campaign promises. My belief is that the root of a thing is what matters, the true source of motivation for actions. And I cannot make the roots of either man line up with my Christian beliefs. Christianity is key to me in a leader. Yes, yes, I know that you will argue we must separate church and state. First of all, I probably don’t totally agree with you on what that separation was originally meant to entail. But either way, it is my choice as an American to want a leader who has a foundation of Christianity upon which to base his decisions. Obama’s life story will tell you much about his upbringing by a mother who was once an atheist, later an agnostic. A woman that he admits heavily influenced his worldview. A woman who was probably a nice gal but who did not embrace Christianity at all–even admitting that she was somewhat bitter against it. She was even rather polytheistic in her latter days. If you think her views are not inherent in her son, think again. Obama may claim to be a Christian, but I would bet you it’s not the type of Christianity you evangelicals or Pentecostal-type people like me bank on. But that’s not my biggest beef with him, religiously speaking. The more we accept Islam as a “sister” religion to Christianity, the more we water down the true message of Jesus Christ who said, “I am the way and the truth and the life. No one comes to the Father except through me.” John 14:6. If you believe the Bible, then how can you deny that there is no other means of salvation? I cannot vote for a man who denies the message of Christianity by becoming a religious bedfellow with a false god. I can see being friends and loving all mankind in the brotherhood of man, but don’t compromise the message of Christ by accepting their religion along with their humanity. There’s much more to be said as to why I didn’t vote for Obama–namely his views on abortion and the potential he has to appoint Supreme Court justices who agree with him on the fate of the unborn. But let’s save the abortion debate for another blog post. Another issue that troubles me with regard to Obama is that I am not totally sold on his support for Israel. I know he has financially supported Israel and that many wealthy Jews in this country support him because of that. But I don’t necessarily trust the discernment of wealthy Jews; I trust the discernment of my Christian friends who live or minister in Israel and are led by the Spirit of God. And they say pretty much unequivocally that Obama is no true friend of Israel. He made some strong statements about having Israel’s back, but I note that he didn’t make those statements until Sept. 2012. Political pundits say that he was savvy and knew he had to have the vote of those Americans (most of us) who support Israel. “Why does Israel matter?” you may ask. Because the Word of God basically says, in a nutshell summary, that whoever stands with Israel will be blessed and whoever doesn’t, won’t. In the end times, it will matter HUGELY who stands with Israel–God’s original chosen people that He still loves and blesses. An Israeli newspaper recently reported that Obama, despite his alleged support of Israel, has stated that although he agrees with Israel having the right to defend herself, he will not back Israel if they go to war against Iran. 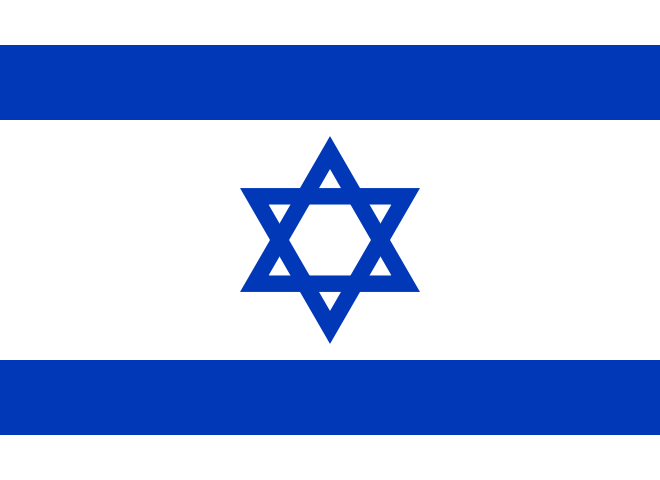 The day will indeed come when all nations will turn on Israel; I just don’t want to hasten that day with my vote. Odd though it may seem, it matters more how a President stands on Israel than it does on how many campaign promises he makes to feed you, clothe you, make sure you’re taken care of. We are even commanded to pray for the peace of Jerusalem. I am troubled in my spirit–and yes, this is from God–that we have become a nation that votes selfishly rather than by the Spirit of God which is always unselfish. We care about our full bellies, our comfortable homes, our good jobs. And who doesn’t want that? I sure do. But should that take priority over what God’s top priorities are? I can promise you that if you seek first the kingdom of God–in other words, seek the greater good sometimes rather than your own–all these things that you need will be added unto you. You vote for a President who fully supports Israel, and your needs will be met abundantly. Bold statement, I know, but truth, I do believe, according to Scripture. And why didn’t I vote for Romney? Primarily because the root of his faith is Mormon. I have many Mormon friends, and I love them. But I’m not going to tell them that I believe their religion is correct. Yes, they believe in Jesus, but they have another book that they also adhere to besides the Bible. “I warn everyone who hears the words of the prophecy of this book: If anyone adds anything to them, God will add to him the plagues described in this book.” Rev. 22:18. The Book of Mormon is full of prophecies that are never mentioned in the Bible and don’t coincide with God’s Word. How do I know so much about Mormonism? Because when I was a troubled 18-year-old who was desperate for a more real relationship with God, I nearly became a Mormon, hung out with them at Carolina, entertained Mormon missionaries regularly in my dorm room, studied the Book of Mormon. Joseph Smith was a fraud, my friend. Bold words again, I realize, but false prophets must not be upheld. Even when I realized the truth about Mormonism and how it didn’t coincide with the Gospel of Jesus Christ, I still loved my Mormon friends. And I still hung out with them. I admire the family values and morality promoted by Mormonism. Heck, I love Donnie and Marie like crazy! But Mormonism is not a subset of Christianity to me. 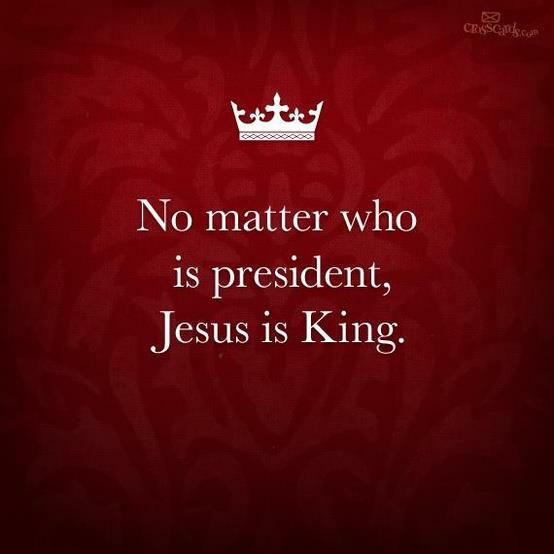 I am astounded by how many of my Spirit-filled friends begged people to vote for such a Godly and Christian man as Romney so that we could get God back into the White House. Which God are we talking about? Jesus Christ as God or the Mormon version of God? Again, that could be another entire blog post. Now you know why I didn’t cast my vote for either of the mainline candidates. 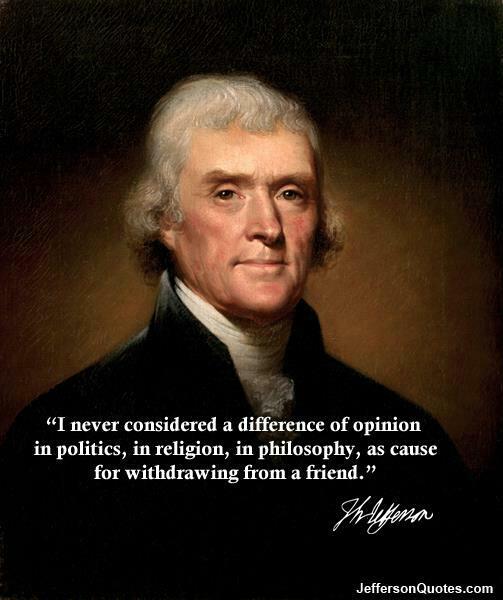 I considered voting for the Libertarian Gary Johnson but couldn’t, after hearing him say time and time again that his views on separation of church and state are such that he would never consult God before making a political decision. A so-called Christian separating prayer from political leadership? That heavily disturbs me. So I wrote in a candidate. My conscience is clear tonight as I ready myself for bed after Election 2012 has unofficially ended. I leave behind this election season, troubled over many things. I am troubled by the role color played in this election. I consider myself color-blind, as those of you who know me best realize. Remember how proud I was when I found out one of my Bray ancestors was a freed black slave? Oh, how I rejoiced over that! So color will never play a role in whom I vote for. But I have white friends who wouldn’t have voted for Obama had he been a fiery Pentecostal preacher–simply because they didn’t want a black man in the White House. I’ve seen Facebook posts by some white friends tonight already that are talking about “us versus them.” Give me a break. Race should never figure into anything. If we’re Christians, we’re all of one blood–the blood of Jesus Christ. On the other hand, I have black friends who say they voted for Obama based on his political views. But I will admit that I think race played a huge role for many of them. These ultra-Christian black friends of mine do not support abortion. They stand with Israel. They do not support Islam. Yet they voted for Obama and say his agenda is akin to theirs. If he had been a white man with these views, would they have voted for him? Some of them, perhaps; many of them, no. I reiterate that race indeed played a crucial role in this election. 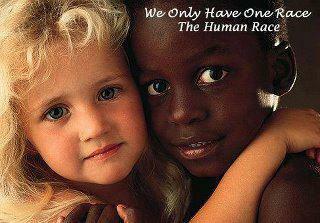 When are we going to look beyond the color of a man’s skin to see what he’s really all about? MLK Jr. preached that, yet we’re still clinging to color half a century later. I pray to God that I listen to the Spirit of God and vote for a candidate based SOLELY on values and political agenda with NO THOUGHT WHATSOEVER of his color. Both blacks and white are guilty of this, I believe. Prejudice works both ways. If you know me, you know that I am full of the love of God. I want peace, love, joy and happiness. I am Miss Rose-Colored Glasses, Miss Eternal Optimism, Miss Love Everybody No Matter What. Well, guess what? I am still those things. I still love all of you, despite our differences. And I hope you love me, too. But as a Christian, I cannot deny what I believe to be the Word of God. Yes, my interpretations may not all be correct, but the crux of what I said is pretty much undeniable to most Christians who claim to be full of the Spirit of God. As we draw closer to the end of time, the line in the sand between Christian and non-Christian will be more clearly drawn. We must be bold to preach the unadulterated Word of God but still be full of the love of God for all mankind. Nonetheless, remember that Jesus said they will hate us in the end. He said that if they have called our Master Beelzebub, then why do we expect to be popular with the world? But again, no matter how we are persecuted, we must not strike back–neither physically nor verbally. 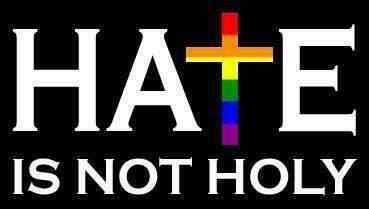 Hate breeds hate and is not of God. Vile words against the other political party members or the re-elected President do not minister grace to the hearer and again ARE NOT OF GOD. We must continually exhibit His love and desire that all men may be saved. It is possible to stand up for your beliefs and be loving at the same time. Shalom to you on this historic night of Election 2012. 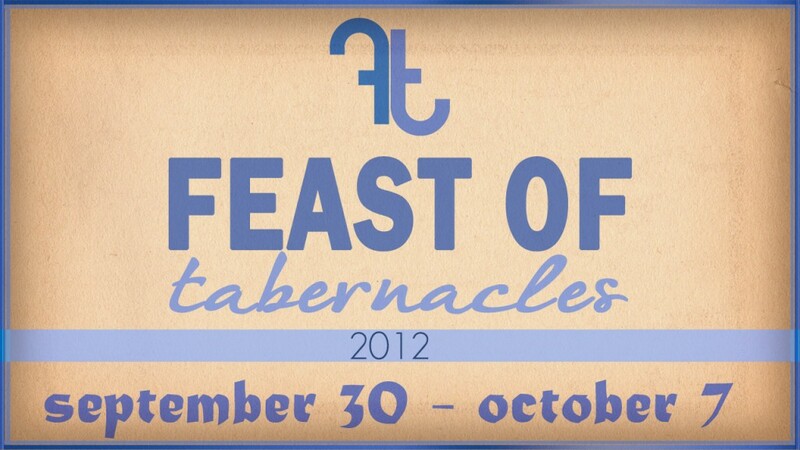 Feast of Tabernacles: the season of our rejoicing! I’ve gone through yet another season of what we often call Jewish holidays (I call them Feasts of the Lord), and we’ve come to my favorite one of the year. Sukkot, or Feast of Tabernacles, is the most joyful feast of all to me. It is the 7th feast, held in the 7th month, lasting for 7 days. Ahhh, perfection. Isn’t that beautiful? Think of how much you love your significant other and what it would mean to you if he/she begged you to stay a little longer with him/her. Surely it would thrill your soul. Well, even more so when it’s the Creator of the Universe–the ultimate Lover of your soul–who asks you to linger with Him. During this 8-day celebration, there is an emphasis on good food. I like that! 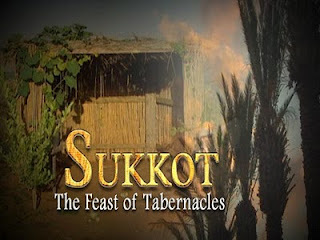 Each night, observant Jews eat dinner in their sukkah (booth)–a little hut constructed in the yard to recall the reason for this holy feast: that God provided well for the Israelites as they dwelt in booths (sukkot is the plural of booth in Hebrew) in the wilderness. You might invite the neighbors over for cake and wine (grape juice for me–ha ha!) in the sukkah as you enjoy the evening air and gaze on the stars and nearly-full moon in the night sky. And guess what God commanded the Jews to do during this week? REJOICE! Wow, somebody please command me to rejoice–I will definitely oblige! But this is just for the Jews, you say. We Gentiles don’t bother, do we? Well, if we do choose to celebrate Sukkot, we will enjoy the blessing of it. The early church, which was of course predominantly Jewish by birth, still celebrated the annual Feasts of the Lord, until this practice was eventually frowned upon when Catholicism took root. But the main reason we Christians would profit from studying and/or celebrating Sukkot is that it is a festival of hope for the future. Yes, it celebrates the past (“He has provided for us before, as in the wilderness”) and it solidifies the present (“He is providing for us even now!). But this Feast points forward to the future when His provision will be eternal. It reminds us that we will tabernacle with our Lord forever one day. Every day in eternity will be Sukkot. You see, the Feast could’ve ended in the prescribed 7 days–7 being the number of divine completion. But it didn’t. There is an 8th day–8 being the number of new beginning, a number outside of time as it doesn’t exist within our neat, little 7-day week. The 8th day represents eternity. Jesus fulfilled the 4 spring feasts: His death (Passover), His burial (Feast of Unleavened Bread), His resurrection (Feast of Firstfruits) and His outpouring of the Holy Ghost (Pentecost). But the 3 fall feasts have yet to be fulfilled. A little over 2 weeks ago, we celebrated the Feast of Trumpets (Rosh HaShanah)–representative of His 2nd coming. 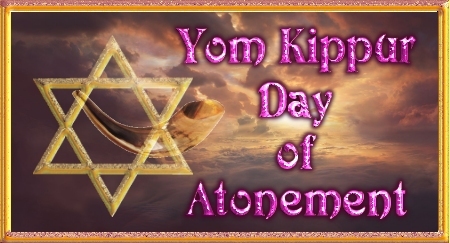 Ten days after that, we had Day of Atonement (Yom Kippur)–symbolic of the coming Judgment Day when His atoning blood will make all the difference for those who follow Him. What’s next after His return and judgment? Eternity with Him–Feast of Tabernacles–the grand diamond in the crown of Jewish holy days. Just a random comment? No! If you understand Sukkot, you realize that each morning during the Feast, the priest drew a pitcher of water and poured it out as a sacrifice as part of a plea/prayer to God for rain during the coming winter months. After the long, dry summer, the rains, which began about November in Israel and lasted until around March, were crucial to crop development in the coming year. Sukkot was the time to beseech God to send the blessed precipitation. So imagine that this water ceremony has just taken place in the Temple. And here comes Jesus–this “upstart” from Nazareth–who interrupts things by crying out that HE is the water they need. And the Word doesn’t say that He just spoke up. HE CRIED OUT. Can you imagine the horror the Temple leaders felt? “Blasphemy!” they may have whispered to each other. That statement seems to come from nowhere. But if you know about Sukkot, you would know that each night of the Feast, there was a fabulous light display in Jerusalem. Not only were the huge Temple lampstands blazing, but also the multitudes of pilgrims in the city celebrating Sukkot would have their sukkahs alight as they rejoiced into the night. The Jews at that time, who had just been dazzled by the nightly light show for a week, would totally “get” what Jesus was saying. He had just diverted their focus during the water ceremony to Himself, pinpointing Himself as the water they needed. NOW, He diverts their focus on light to Himself, declaring that He is the light they need. What a nerve, the “big wheels” of that day must’ve thought. Their familiarity with Sukkot made Jesus’ comments even more inflammatory than what we clueless Gentiles perceive. It is imperative that we get out of our comfort zones and study the culture that Jesus preached in. It gives us knowledge we have been ignorant of for too long. Think about how we have sometimes made erroneous doctrines from things the Apostle Paul said in his letters–all because we did not understand the culture of that day or the circumstances of the people to whom he wrote. This is an endtime prophecy that pertains to us. EVERYONE will keep the Feast of Tabernacles. Wouldn’t we do well to learn about it now? The Jews see each Feast of the Lord as a “mikrah”–a rehearsal or foretaste of what is to come. So when I keep Sukkot, I see it as a rehearsal of my blessed eternity with Him! If we belong to Him, we have already started our eternity! We are eternal beings just passing through this mortal life before we move on to our “real” life! We rejoice because He came down to tabernacle with us in the flesh for 33 1/2 years and then returned again as the Holy Spirit Who tabernacles with us constantly! May we give Him all the glory in this the season of our rejoicing! And to think, WE’VE ONLY JUST BEGUN! Click on the link below to watch the teaching I did on Sukkot at our church, Times of Refreshing, this past Sunday morning. Just ignore the phone ringing on camera; we are a casual group that meets in a home temporarily. Beneath this link is a handout that will help you follow along with the video. Enjoy! What is required on Sukkot? 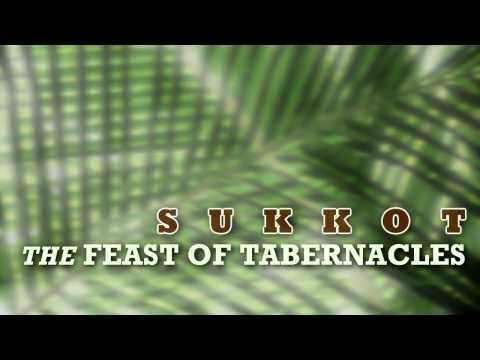 How is Sukkot mentioned in the Bible? Solomon chose it for consecration of Temple (I Kings 8:2-4)–shekinah glory fell! What are the Jewish traditions of Sukkot? –Festival season in spring starts with Song of Solomon (idealism of young love) and ends in fall with cynicism of old age! What does Sukkot mean for us as Christians? –Joel 2:23 prophesies of endtime when God sends former and latter rains in same month–final harvest! Celebrates God’s provision in the past (wilderness), present (harvest done) and future! –As He dwelt in the tabernacle of the wilderness, now He dwells in us! We used to sing a song in the choir at my former church–“Jesus, I’ll never forget what you’ve done for me. Jesus, I’ll never forget how you set me free. Jesus, I’ll never forget how you brought me out, No, no, NO, NEVER!” That’s a song that comes back to me today on Yom Kippur–The Day of Atonement–the holiest day on the Jewish calendar. Was I born a Jew? No. But I was grafted into the family when Jesus died to redeem the entire world. Do I have to celebrate the 7 Biblically-commanded Feasts of the Lord? No. I have already celebrated the 4 spring feasts symbolically, and I will one day fully celebrate the 3 fall feasts symbolically. But I believe that each year as the feasts roll around in their cyclical way on the Jewish calendar, it is important for me and mine to study them as they relate to our salvation. Jesus the Messiah is revealed in each one. In studying these holy days on God’s calendar, I learn about the past (how Jesus fulfilled them by His death, burial, resurrection, return as the Holy Spirit), the present (how to live holy per the traditions of the feasts) and the future (how He is coming back and what will follow). 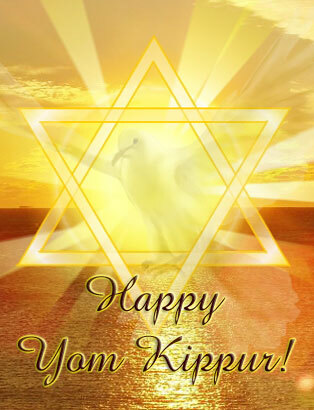 Today is Yom (day) Kippur (covering). No longer do I need an earthly high priest to enter into the Holy of Holies once a year to apply the blood of goats and bulls to the mercy seat to cover my sins. Yes, instead, Jesus became my High Priest once and for all. When He died on the cross, the veil into the Holy of Holies was rent in two. He had marched into the Holy of Holies, applied His own blood to the mercy seat for me and given free access to the most holy place to all who receive Him. He was without sin, yet He became sin for me. I cannot emphasize enough the term that is used several times in the Book of Hebrews–ONCE FOR ALL. Redemption for all who will receive it. And that redemption isn’t jerked away from us when we mess up. He knows our frame, that we are but dust. And because of that, He tells us that if we sin, we have an advocate with the Father, Jesus Christ the Righteous. We in the church are so quick to condemn those who commit the “BIG” sins. (I know, because I have been on both sides–condemning those who commit the “biggies” and also committing “biggies.”) REALLY? I have seen church members who refuse to listen to a preacher who is divorced or who admits to backsliding into drug or alcohol abuse at some time in his/her Christian walk. REALLY? Who are you to judge another man’s servant? What about the preachers who practice gluttony regularly with no recognition of that sin? What about those who are mean and hateful to their families behind closed doors while smiling graciously to their parishioners? You listen to them often enough. What about those church members who crucify each other with their tongues? What about those respected church mothers who are quick to condemn you and murder you in their hearts for the least offense? They’re still teaching Sunday School and leading the choir, aren’t they? Isn’t this hypocritical? 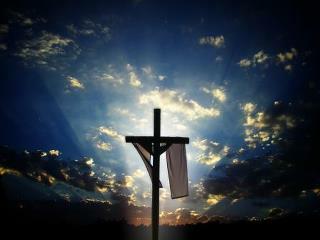 Did He die for our sins (plural) before we get saved ONLY or also for those sins we might (will) commit after salvation? Why do we continue to look at Christians who sin (which is all of us–yes, you, too) and say, “That’s it. You blew it. You cannot minister/teach/preach/lead anything anymore.” REALLY? Show me where you find that in the Bible. Poor ole King David always gets mentioned in discourses on sin because of his murdering, adulterous, lying ways. (Yes, I said that about David). But guess what? He repented and THEN (yes, after the horrible sins) was called “a man after God’s own heart.” He was still king of Israel and was still used of God. I don’t mean to sound harsh, but perhaps it’s time we really took stock of what His atonement truly means. Redemption is serious business. Redemption is ongoing, continual. That blood is still flowing symbolically to cleanse us from day to day as we strive to live a holy life despite our flesh. Click on the video below to see the teaching I did on Yom Kippur a couple of weeks ago at our church, Times of Refreshing. Please forgive me for not pronouncing everything correctly! Beneath the video is the handout we used in our teaching. It will help you follow along. Enjoy! No mention of it taking place until 444 B.C. What does Yom Kippur consist of? What is the order of events on Yom Kippur? What are the Jewish traditions on Yom Kippur? –Great sabbath meal eaten before sundown! How does Yom Kippur parallel our salvation? National cleansing of Israel since the Church will be raptured out at Feast of Trumpets? –Came between Noah and judgment (the waters)–like Jesus’ blood and us! Rosh HaShanah–Feast of Trumpets–HE’S COMING BACK! Ever since God directed me to study the Feasts of the Lord back in the late ’90s, I’ve been fascinated with the Christian symbolism in these holy days that many call “Jewish feasts.” Actually, in the Bible, they were never called “Jewish feasts.” They were HIS feasts–seven of them Biblically-mandated. And thus each year I study the feasts as they come around, and I even teach on them occasionally. Tonight as I blog this entry, I have finished my celebration of Rosh HaShanah–Feast of Trumpets and the Jewish New Year. It is still technically going on because some of these holy days are celebrated for two days. Rosh HaShanah, in particular, is a two-day event, because it is the only feast reckoned by the new moon. And the new moon was sometimes tough to spot in ancient Israel. What if it was cloudy? You might miss the appearance of the sliver-sized moon if you were the watchman outside Jerusalem waiting to sound the trumpet signal. So the celebration of Rosh HaShanah went an extra day–just in case. There are other reasons for two-day celebrations of one-day feasts, but that’s not the purpose of this entry. Our church, Times of Refreshing (on the Old Paths), gathered last week on Sunday, Sept. 9, to study Rosh HaShanah. The video we made is posted at the bottom of this page, along with the handout we used to simplify the lesson. Last night, Sunday, Sept. 16, some of our group met at 6:30 p.m. in downtown Walnut Cove–a town we have a burden of prayer for. It was not yet Rosh HaShanah as we sat at a picnic table, getting a head start on eating sweet treats as Jews do for the start of their new year. A sudden impulse hit me to click on my phone to check the time. Despite the fact that I was afraid Revonda, who was telling us something interesting at that time, would think I was rude, I reached for my phone. It said 7:25. I apologized after a minute, saying that I had to look because my kids were coming at 7:30 plus I was wondering when sunset was. Troy checked the weather page on his phone and was amazed when it said sunset was 7:25–exactly when I had looked at my phone! The Feast of Trumpets had begun exactly as I felt to check the time. We laughed joyfully at how the sunset timing had worked out. I later thought about some symbolism in even this simple event. This past summer, I had attended a family Vacation Bible School at Rural Hall Church of God. They randomly (maybe not randomly by God!) placed me and my children in the tribe of Issachar; they had divided the many participants into the 12 tribes of Israel as classes. People who had “understanding of the times.” I realized last night as I looked at the phone at exactly the time of sunset, when sunset was indeed the time we were waiting for, that that little “coincidence” reiterated something to me: there are those in the Christian church at this time who have an understanding of the times we live in. They are not the majority. Perhaps some of them are those in whom the gift of prophecy works. Those who have had a hunger put into their very soul to study the Feasts of the Lord–that includes some of you reading this right now–are likely people who have understanding of the times. These feasts can reveal to us many things: from the plan of salvation foreshadowed to what will happen in the world as we near Christ’s return. What should you do, you people who are types of the tribe of Issachar? You should pray diligently for how God wants you to disperse the knowledge you have. Be on guard that the enemy of our souls does not pervert your gifting and try to take you into legalism with regard to the feasts. He did not call you to bring people back under the curse of the law if they do not celebrate the feasts in a mandatory fashion or they don’t keep the Law precisely as outlined in the Torah. I do not believe that we are under a curse if we don’t keep the feasts, if we eat the forbidden foods noted in the Law, etc. However, although the curse is removed, I still believe that a blessing applies if we do keep the feasts and the Sabbath or if we try to abide by the dietary restrictions. It is not a matter now of keeping the Torah because we HAVE to, but because we GET to! There is a difference in motivation. So although I do not believe that we are still under command to keep these holy days, I believe that if we DO, there is a special blessing and revelation in it. Thus I celebrated Rosh HaShanah from sundown yesterday to sundown tonight. I don’t own a shofar, but I listened to one online in a YouTube video that my bosom friend Robin sent me. Beloved, I don’t know when the Lord Yahushua is coming back. But I believe that symbolically we are in the sixth month of the Jewish calendar–the month of Elul–the month of preparation for the first day of the seventh, holy month Tishrei which is Rosh HaShanah–the Feast of Trumpets which prophetically points to His return! If you belong to Him, you have been through the four spring feasts which have already been fulfilled in Jesus Christ–Pesach (Passover) when the blood was applied to your heart through His death, Unleavened Bread when you were freed from sin and buried with Him, Firstfruits when you experienced His resurrection power of new life after conversion and Shavuot (Pentecost) when you were baptized in the Holy Ghost for power in ministry. You are now in the sultry summer months of the Jewish calendar, waiting for the final three feasts to begin in the fall. As you walk through the fourth month, the fifth month, the sixth month, your eyes are on that seventh month prize–HIS GLORIOUS RETURN (Feast of Trumpets–Rosh HaShanah), JUDGMENT DAY (Day of Atonement–Yom Kippur) and ETERNITY WITH HIM (Feast of Tabernacles–Sukkot). The four feasts of the spring (four is the number of earthly completion) added to the three feasts of the fall (three is the number of heavenly/Godly completion) equals the divine completion of the number seven. So the next sound we listen for is the sound of the trumpet! THAT’S why I celebrate Feast of Trumpets–to remind me of the day of His appearing! What does Rosh HaShanah mean? –Tishrei: 7th month on the Jewish holy calendar–holy month. 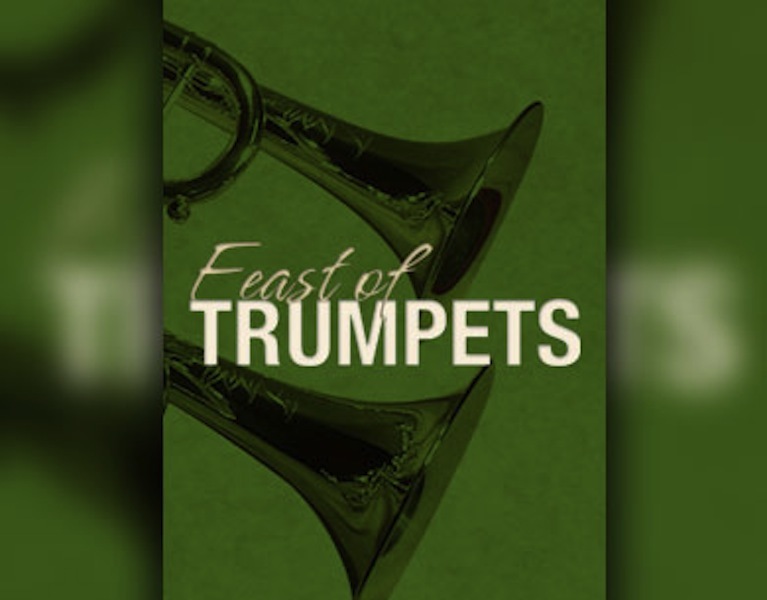 Why is it also called Feast of Trumpets (Yom Teruah)? What were the Jews to do on this holiday? Celebrate it as a Sabbath. staccato blasts (teruah), 1 long blast. 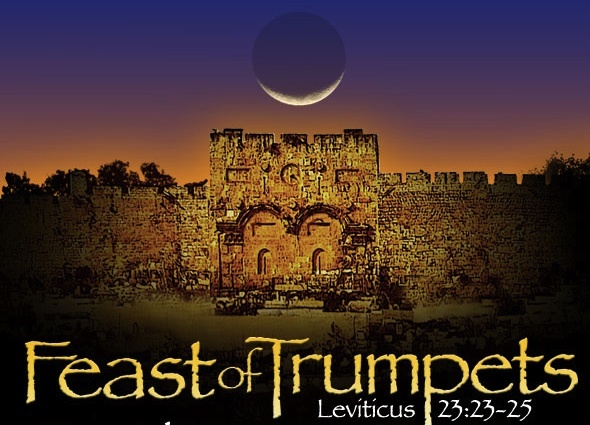 How often is Feast of Trumpets mentioned in the Bible? What Jewish traditions are held? What significance does it hold for Christians? –New name, song, thing, covenant, tongues, etc. September 11 is a date that conjures up vivid memories for Americans. Even if you were too young to remember the horrific events of that day, still you feel the pain because we relive it each year on that date. 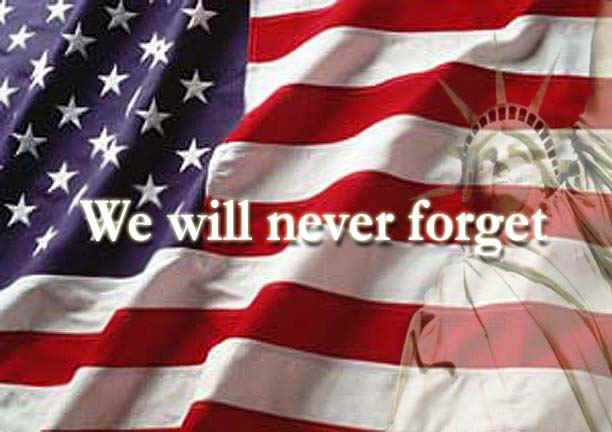 We fill our Facebook walls with photos of the Twin Towers, the American flag, our Patriot Day motto of “NEVER FORGET.” We sit glued to the TV watching specials that take us back to the day the music died, the day we had our innocence stripped from us, the day the world changed forever. This day haunts me every year. Why? Because–and you may think I’m crazy–I knew it was coming. I didn’t exactly know WHAT was going to happen, but I knew that September 11 was a day that would mean something. If you’re not a Christian, you may scoff at this. But if you are a follower of Jesus Christ, you know that He sometimes prepares His people for what is coming. Prophecy is still working in this world. I never forgot the tense, doomsday-gray atmosphere of that dream. I wrote it down and literally pondered it often for the years before 9/11. Each year when the local fair began, I anticipated some sort of world-changing event. Then came 2001. 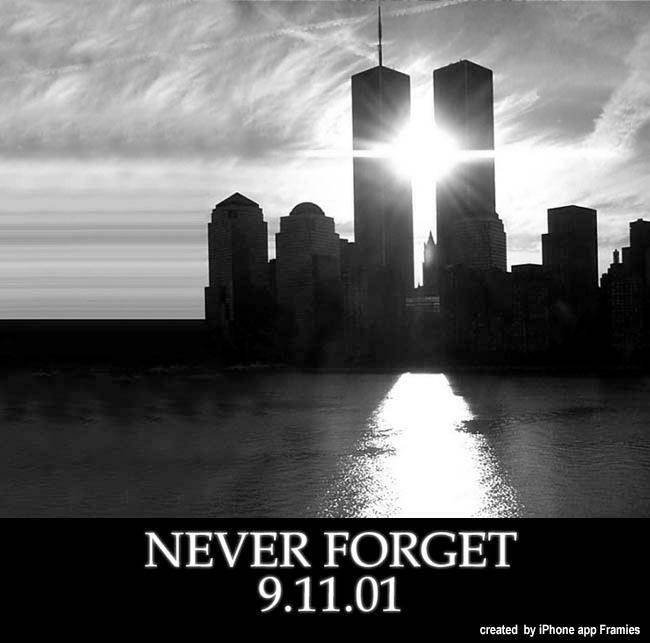 The Thursday before 9/11 (that would’ve been 9/6), I was having my morning prayer in my bedroom. I was in the floor on my face. If you want to know the truth, I was praying a very selfish prayer that focused totally on me. I had been stricken with a mysterious illness in October 2000 and was still very unwell just 11 months later. I was asking God to give me strength to go on. Suddenly, I heard the Lord speak to me–not in an audible voice but in that way that He imputes something into your brain that you know is Him speaking. He said, “Psalm 83.” Still being in that selfish mode, I jumped up with excitement, just sure that the Lord was giving me a Psalm that would bring me great comfort in my tribulation. I had no idea what Psalm 83 was, but hey, it was a Psalm–those were mostly all encouraging, weren’t they? I sat on the edge of my bed, facing the window that looked out at the lovely September morning, feeling quite confused as I read this Psalm. It had an ominous tone to it–all about the enemies of God doing something horrible to cut off Israel. The passage told me who those enemies were. I looked them up in the concordance and found that the descendants of these kingdoms mentioned in the Psalm were the Arab nations who hate Israel today. A Song. A Psalm of Asaph. 83 Do not keep silent, O God! And do not be still, O God! Who became as refuse on the earth. Like the chaff before the wind! And frighten them with Your storm. Are the Most High over all the earth. At the same time that this Psalm became such a huge part of my life, I was suddenly hit by the importance of these numbers: 911. Not as in “nine-one-one” but “nine-eleven.” I racked my brain for what 9-11 meant. The numbers kept rushing through my head for the days preceding the Twin Towers attack. I even called my dear friend Heather to ask her if we had stayed in a room 911 during our recent travels to Irish dance competitions. It had become a joke to my family and friends how seriously I took the numbers of our hotel rooms at these events. I would always attach some significance to the room numbers, which was probably silly. But for some reason, I couldn’t remember some of the room numbers from our summer trips–some of which I had taken with Heather and her kids. Heather couldn’t remember either, but she said she didn’t think we stayed in a 911. I told her I couldn’t figure out the significance of those numbers which were mentally screaming at me. I confess that I didn’t really connect 911 to the actual date of the upcoming September 11. So when that date came, all I knew is that, due to the Psalm, I needed to pray for Israel and her allies–which of course included the U.S perhaps first of all. I was on the couch in my den on that infamous day, talking to my sister Lori on the phone about meeting up at the Stokes County Fair that afternoon. I had already canceled the habitual Tuesday night prayer meeting at our house, so that my family could go to the fair. The TV was on PBS–probably “Sesame Street.” Some of my kids were obviously awake already. Suddenly Lori said, “Do you have your TV on? Jon [her husband] says turn it to Channel 12. Something’s going on.” I called out to one of the kids to turn it to WXII. Somewhere in the mix of things, I believe Heather beeped through to tell me to turn on my TV. That part is foggy. As the kids switched channels, suddenly I saw a picture of the North Tower of the World Trade Centers with smoke pouring from it. Lori told me that Jon was saying a plane had flown into it. I was astounded and at first thought it was a joke. But it was no joke. Still I had no clue that it was terrorism. I simply assumed that a plane had lost control innocently and hit the building–a terrible tragedy, yes, but nothing more than a mere accident. I kept watching and then was shocked to see the other plane hit the South Tower. It was then that I, and the rest of the world, knew this was terrorism. And I thought of Psalm 83 and my dream so long ago of a world-changing event occurring the very day I was going to the fair, and suddenly the absolute horror of my preoccupation with 911 for the preceding days hit me. I knew beyond a shadow of a doubt–because of the Psalm–that it was a terrorist attack against us because of our support of Israel. I even knew who did it, thanks to the Psalm–the Arab nations who hate Israel and who hate us for our allegiance to Israel. When I first got sick in October 2000, the USS Cole had just been bombed and no one was sure who to blame. I woke up in the night during the miserable sickness, tossing and turning and moaning the name, “Osama bin Laden” over and over again. I knew then he was the mastermind behind the ship bombing. And on the morning of September 11, I knew unequivocally that bin Laden was behind the planes flying into the Trade Towers. And let’s just say that we didn’t go to the fair that night; instead we reconvened the hitherto-canceled prayer meeting at our house. I had no clue that Dee was going to teach a lot about the significance of 9/11. She told us that the 9th letter of the Hebrew alphabet looks like a snake coiled to strike and that the 11th letter looks like a bird in flight. “9-11–the devil attacks through planes?” she was basically questioning. Then Dee said something that made my skin crawl. She said that the 11th letter represents judgment and that Psalm 83 was key in this study because 8 + 3 = 11. She said that Psalm 83 tells us exactly who perpetrated the 9/11 attack on America–the Arab nations in confederacy against Israel. Dee told us that Mohammed originally prophesied in the Koran that the end of days will begin when Muslims worldwide join together to wipe out Israel. I have never read the Koran, but according to Dee, the version we read today has been sanitized. I sat in that class in total disbelief. This renowned Bible teacher, whom I did not know, was confirming what God had told me BEFORE September 11, 2001. What is the significance of all of this? Why would God tell me that information ahead of time yet I not totally discern what it meant until it actually happened? I believe He used this as a training exercise for me and to let me know to be listening to Him as the end times hasten toward us. A very spiritual woman at my former church in Winston-Salem had come to me in the late ’90s and told me she had had a spiritual dream about me knowing things before they happened. She spoke a word of wisdom to me: that I should listen carefully to the Lord and tell her and others if an upcoming event was revealed to me. I did have another prophetic experience before the horrific tsunami in the region of Indonesia–too long to go into here. But very little else since then. There was, however, one more thing that I was told which I am hanging onto until it happens. Not very long after 9/11/01, I awakened abruptly one morning with the numbers “10-18” imprinted in my brain, as if God had put them there. It was urgent that I find out what they meant. I knew then that another 9/11-type attack was coming. This time it would be a 10-18 rather than a 911 call, symbolically. I will admit that I was doubly alert each October 18th after that–in case the 10-18 represented a date the way 9-11 did. I even pondered whether it would happen on the 18th day of the 10th Jewish month, since I was so heavily studying the Jewish calendar. Those of you who know me can testify that I am a very optimistic idealist who lives her life wearing rose-colored glasses. I am not a doomsday prophet. I am not telling you to store up beans, Bibles and bullets. Instead I am telling you to store up the Word of God, His Spirit, His love. Make sure that you are spiritually prepared. When you are, then if you need to prepare physically, He’ll let you know. I am leery of many non-spiritual people who are spending all of their time and money storing up things for the coming collapse. I, on the other hand, feel to give away as much as I can, to reach out to the world rather than to focus on self-preservation. Another thing I am telling you is that we as the United States cannot abandon Israel. Not that they can’t take care of themselves–they are B-B-B-BAD. But any nation that turns on them will not prosper. I hesitated to write this blog for fear of being called crazy or being talked about. But you know what? I realized that I’m not particularly worried any more what people think of me, as long as I know my Savior is leading me and is my focus. It is time to seek the Lord. Pentecost–God’s covenant with His people! As you know by now, I am a Christian who is getting back to her roots. My Messiah–my groom–was Jewish, and I want to familiarize myself with His culture. I have been grafted into the commonwealth of Israel, so I want to understand what the Jews do, how they live, what they celebrate. So, I study the Feasts of the Lord which were outlined in Leviticus 23. And I see Jesus hidden in each one. I see symbolism that is very pertinent to modern-day Christians. I consider these feasts to be types and shadows, as the Apostle Paul said, of things to come. 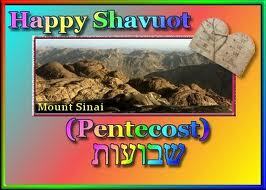 Sunday, May 27, is Shavuot (Feast of Weeks) on the Jewish calendar. On the Christian calendar, it is called Pentecost. Since the Feast of Firstfruits (Resurrection Day or Easter Sunday morning), the Jews have been counting up to Pentecost–the 50-day countdown (count-up) that is called the Counting of the Omer. My kids and I have been counting along with them. What an exciting time it is! We are almost at Day 50. For the Jews, Shavuot can come on any day of the week since their lunar calendar is so different from ours. They begin counting the omer the day after Passover, since Passover is considered a sabbath–no matter what day of the week it falls on. Most Christians who subscribe to the Counting of the Omer, begin counting on Easter Sunday–the day after t he “normal” sabbath, so that Pentecost always falls on a Sunday. Well, guess what? This year, both Jews and Christians celebrate Shavuot (Pentecost) on the same day–Sunday! It just worked out this year that the day of the week matched for both groups. This has been the case with every feast we have studied since December. There is a strange intermingling of the Jewish calendar and the Christian calendar this year. Could this be a sign of the times in which we live? The times of the end? The times where the Christians are drawn back to the Jewish roots of Christianity as their religion comes full circle–back to the Christianity of the Book of Acts? Our community Bible study group started studying the feasts with Hanukkah (not one of the 7 Biblically commanded feasts but an important one nonetheless) this past year. The first full day of Hanukkah (the Festival of Lights which focuses on “increasing the light”) fell on Dec. 21–the winter solstice which celebrates the increasing of the light. Hmmm. . .
Then we learned that the 5th day of Hanukkah is the traditional day that the Jews give presents to their children. This fell right at Christmas Eve/Christmas this year. It won’t work out that way next year since Hanukkah is on different dates on our calendar each year. When Purim came (again, not one of the 7 commanded feasts but one that is still Biblical), the Israeli prime minister had just visited with President Obama and had given him a special Purim copy of the Book of Esther. Very timely, huh? When the spring feasts rolled around, the dates again were significant–beautifully situated with Easter. Passover came on the actual day that Jesus was crucified. This doesn’t always happen. Passover could be a Monday some years–not the day our Savior was killed. The Feast of Firstfruits, like the others, can be any of the 7 days of the week. But this year, it was on Sunday–just as it was nearly 2000 years ago when our firstfruits representative, Jesus, arose from the dead. Next year, it won’t work out that way. Timing is of the essence this year, it seems. So now it’s time to celebrate Shavuot–a holiday during which we decorate with flowers and greenery, a time to read the Book of Ruth as a beautiful harvest/fertility/marriage story. Because Shavuot is a love story feast. It represents the marriage of God to His people. The Jews believe that the Torah (law) was given to Israel on Mt. Sinai on the first Shavuot. That was God’s ketubah (marriage covenant) with His people. His laws were written on tablets of stone. 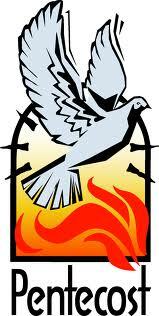 Then came the most well-known Day of Pentecost of all–the one described in Acts 2. Once again, God confirmed His marriage to His people. And not to the Jews only–this time to ALL flesh. He poured out His Spirit in the Upper Room, bringing to pass His earlier Word that one day He would write His laws–not on tablets of stone–but in the hearts of His people. Shavuot is the time when the firstfruits of the wheat harvest were brought to the Temple and given to God. Two loaves of leavened bread were offered in wave offerings by the priests. Let us celebrate this time not only as a renewing of the Holy Ghost within us, but also as a time to focus on the harvest. Jesus said that the fields were white unto harvest but that the laborers were few. Let us pray that laborers be sent into the ripe harvest. Let us volunteer to be part of that work crew. It’s time to bring in the harvest! Here is the YouTube video of a teaching I did at the Walnut Cove Public Library on Thursday, May 24, 2012. It will teach you so much about Shavuot/Pentecost. I made a handout to accompany the lesson and have included that information beneath the video below. Enjoy! Here is the handout info that I gave to the participants in our Shavuot class. (will always be a Sunday). What are the Jewish traditions of Shavuot? How is Shavuot symbolic of a wedding? –Why would the NT contract be any less? How does Shavuot parallel our salvation? How does the Acts 2 Pentecost mirror the original? Why was leavened bread offered when leaven represented sin? Why were 2 loaves offered? Were the 120 in the upper room up all night before the Holy Ghost came? Here is a video that shows the wheat harvest, set to the tune of that old hymn, “Bringing In the Sheaves.” Oh, what meaning that song has to me now! Journey into Judaism–Feasts of Unleavened Bread and Firstfruits! My last post detailed my journey into Judaism while yet remaining a Christian. I am particularly aware of that journey today–the quiet, peaceful Sabbath before we celebrate Resurrection Day tomorrow. I live in two worlds today: the Christian world of observing this day as the day my Savior had been crucified and buried and was preparing to rise again tomorrow and the Jewish world of the first full day of the Feast of Unleavened Bread as we prepare to celebrate the Feast of Firstfruits tomorrow. For many years, I felt alone in my interest of merging these two worlds into a fuller Christian experience. My mother’s sister, Aunt Darlene, had begun to walk this path long before I did, and what an encouragement she was to me when everyone else thought I was crazy! One thing that was a disadvantage to me when I began to study Judaism was the fact that some people who had been loyal members of our very large church began studying it independently of me. They went so far as to say that we must keep all of the feasts, men must be circumcised, the Torah must be strictly adhered to. These people that I loved ended up leaving our church and striking out on their own. Naturally, that made the leadership at my church look on me with suspicion whenever my studies were mentioned. It was a tough row to hoe for a while, but I never stopped, because I WAS CALLED OF GOD TO DO IT. Thankfully, when we began our own church in my hometown, we were free to teach on these things, and the church members were hungry for the knowledge. We introduced them to the great Hebrew teacher and scholar of Christianity and Judaism, Dr. Karl Coke, who had been introduced to me by Aunt Darlene, and he began holding monthly teaching sessions at our church. What a blessing he was to us! I am no longer with that church, nor are any of the original members, but they have almost all gone on even further into studying Jewish culture, Hebrew, Torah and the Feasts of the Lord. What began as a seemingly small thing keeps being multiplied and spreading farther and farther abroad! The danger with studying these Jewish things (or rather, things of the Lord) is that the enemy of our souls would like to pervert the focus. If he sees that he can’t stop a Christian from studying holy things, then his next best tactic is to subtly slide in with less visible trickery. He will try to bring Christians back into legalism. If we were just going to continue to observe the Old Testament law as our means of salvation, then why did we need Jesus (Yahushua)? Yes, He preached Torah and he fulfilled Torah. But the apostle Paul rightly interpreted the Messiah’s approach to law vs. grace. Paul was firm when he taught the early churches that Gentile Christians did not have to be circumcised or follow the Jewish dietary laws. “Are ye so foolish? having begun in the Spirit, are ye now made perfect by the flesh?” he asked the Galatians. So I believe satan has two main tactics when it comes to the modern-day church studying the Feasts of the Lord, Torah, etc. : either make them think it’s something they shouldn’t mess with at all or make them think they have to become legalistic and abide back under the law. There is a beautiful middle ground where we still live by grace yet we are blessed by a greater understanding of the Feasts of the Lord and a study of Jewish culture and heritage. Christ has redeemed us from the curse of the law (Galatians 3:13), but He didn’t do anything about the blessing. If we observe the Feasts, there is a great blessing in that. If we keep Jewish dietary regulations, we are blessed as well (and healthier). But let’s don’t put heavy burdens on the Gentile church for them to bear. However, let’s quit denying the fact that our Messiah was a Jew and that we are grafted into that heritage. I can see in the Spirit how God is attempting to bring this last day church into a purer state–showing us the old paths once more, opening up old knowledge that has too long been ignored. 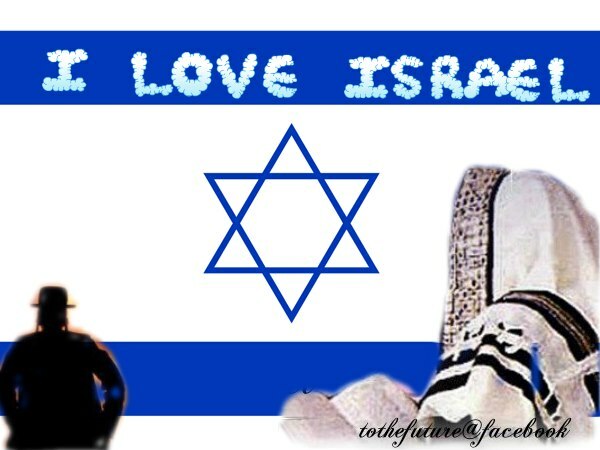 Whether we like it or not (I personally love it), Israel plays a very real role in our Christian lives. One day all nations will go up to Jerusalem to celebrate the Feast of Tabernacles. Shouldn’t we start practicing now? Here is a teaching I did Thursday night, April 5, 2012 at the Walnut Cove Public Library. We finished up our studies of Passover that we had started last week (video posted in last blog post) and moved on to the Feast of Unleavened Bread and the Feast of Firstfruits. Beneath the YouTube video link is the information I disseminated in handout form to the class. If you need the Passover handout info, go back to my last WordPress post and see the end of it. Hope you enjoy learning the symbolism in our Easter weekend as seen through the lens of the Feasts of the Lord! How does the feast parallel our salvation? –we must vow a vow to separate from the world–NO LEAVEN! –PART 2: Unleavened Bread–we repent (getting rid of sin = leaven, as in eating unleavened bread), we eat the Lamb (as in taking in all of Jesus) and we die to ourselves (we eat bitter herbs to represent suffering). What are other types and shadows related to Firstfruits? –Jesus rose from the dead to become our firstfruits on the day after the sabbath during the 7-day feast of Passover–the EXACT day the sheaf was to be waved!